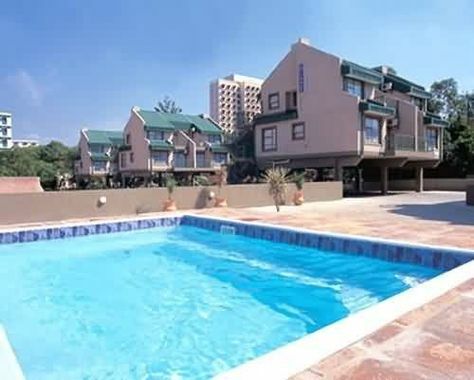 Protea Hotel Hatfield Apartments Pretoria, Hotel Republic of South Africa. Limited Time Offer! 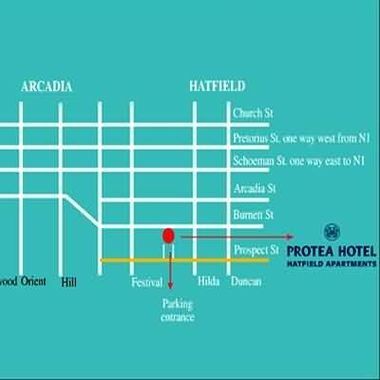 Protea Hotel Hatfield Apartments. 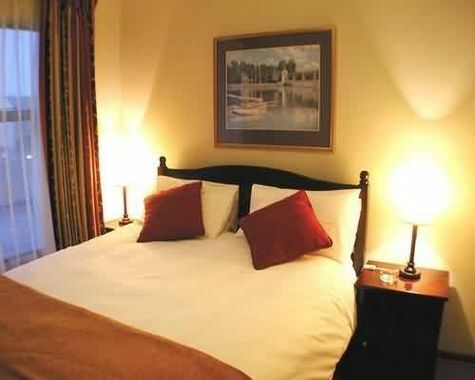 "Protea Hotel Hatfield Apartments" is a 3-star hotel. 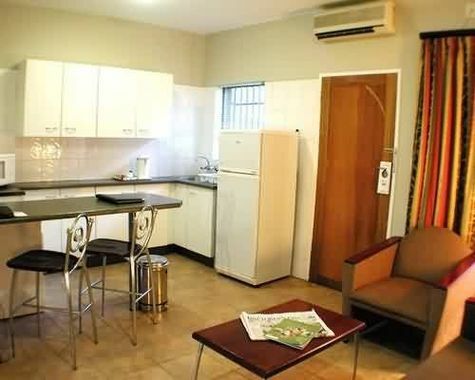 The residence is an excellent pied-a-terre from which to discover Pretoria. The airport is nearby. This hotel features 28 bedrooms in total. The bedrooms have been described as being elegant. Warm weather is kept outside thanks to the air conditioning. The hotel features a garden as well as an outdoor swimming pool. For guests who appreciate getting in some sports practice, the hotel offers options, like squash and golf. 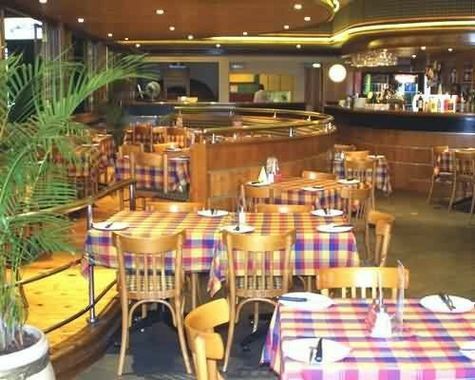 You can have dinner at the onsite restaurant which proudly serves its international specialty. Businessmen will appreciate the access to the Internet. 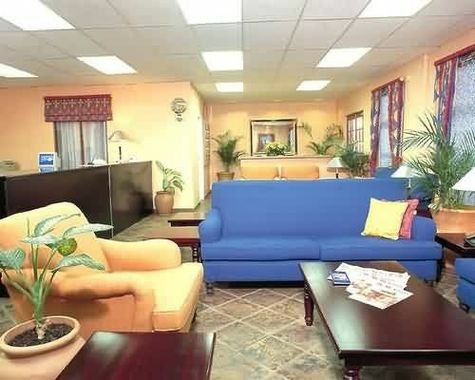 Shani Guest House offers rooms with satellite TV in Pretoria. It is a 15-minute walk from Loftus Versfeldpark Railway Station and features a large landscaped garden with a seating area.